I am a Senior Researcher at INRIA (actually, an Ingénieur Général des Mines, seconded to INRIA since 2001). Since July 2015, I am the Head of Science (Délégué Scientifique) of the INRIA Grenoble-Rhône-Alpes research center. I have been the head of the SPADES research team at INRIA Grenoble-Rhône-Alpes from January 2013 to June 2015. 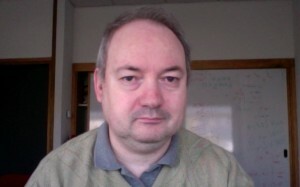 I have been the head of the SARDES research team at INRIA Grenoble-Rhône-Alpes from 2001 to 2012. In a previous life, I worked at CNET (Centre National d’Etudes des Télécommunications) and France Telecom R&D. My current research interests include: concurrency theory and process calculi, formal methods, component-based software engineering, reactive and distributed programming languages. I am the current chair of IFIP Working Group 6.1. Most of my publications are listed here.